This is a roundabout way explaining how I started raising cattle, but back to 2001 I started raising livestock no more than 5 miles from central Houston. There, I was responsible for a company that owned a rather large property lot which was constantly overgrown with weeds and vines. It didn’t take any of us long to start looking for solutions to rid us of this problem and noticed the use of small ruminants (goats & hair sheep) around the oil storage tanks along the Port Area. We decided on sheep (goats were too smart) and within 4 years of starting our “Weed Abatement Program,” it became profitable and self-sustaining. The time I spent with the animals gave me the jump-start I needed to understand basic agriculture and an appreciation for ag-land ownership. After living in Houston for about 8 years, I decided it was time for us to move on. 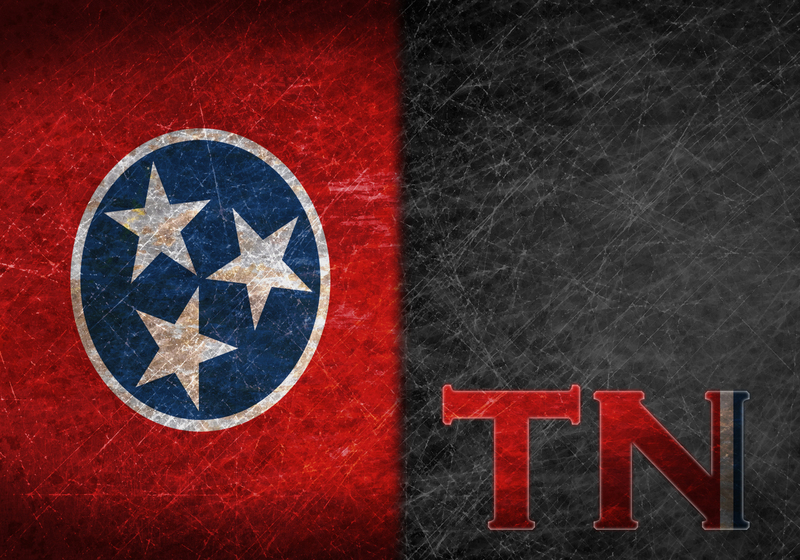 I took a position with a gentleman that I had once worked with nearly 20 years earlier and came to Tennessee. After six months of living alone during the relocation and then another six months of searching with my family, we found a home on about 20 acres nestled among several little valleys located between Watt bar and Sweetwater. During our search, and in fact viewing our property, we noted a number of coyote prowling during the daylight hours. That was a key deciding factor to running cattle on the property instead of continuing with sheep. After moving in and over the next 6 months, I researched the basic needs of cattle and we purchased 5 head of commercial Angus at auction; three of these were pregnant. 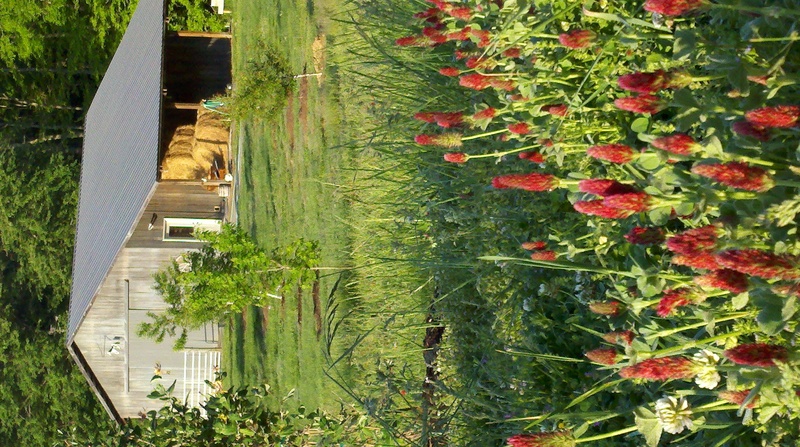 During the next three years we expanded features of the property by digging an additional pond, installed a non-electric pumping operation to keep these ponds full year round, improved fencing, installed a cattle system & head gate, planted many additional shade trees in the pastures, made multiple adjustments to how we move cattle (rotational grazing for example), learned more about cattle dietary needs, and so much more. What we have today might legally be described as a “Hobby Farm.” Our property can sustain about 10-15 cow-calf pairs of commercial Angus which is the maximum land burden it can accommodate without killing everything and starving out our cattle. Careful management of the grasses falls into my view that well-fed cattle (ruminants in general) will prevent about 95% of the problems you might otherwise encounter. As with a new property, expenses are plentiful and it takes time to build up a quality herd; we’re not at all where we would like to be and no one can expect too much in such a short time. To date, we’ve sold about a dozen head, traded a few, and one day we’ve mused that we’ll sell what we have and replace them with registered Black Angus in order to expand our market opportunities. I’m no longer sure I can answer this question. Trails are difficult for many reasons but God knows what he’s doing. We’d been through very tough times in the past and now it seems to us that what people call trails is not much more than small bumps in hindsight. Have we had some smaller issues with livestock? Sure, but not many. As this might be a reminder, and as any good Vet. will warn you about, adding livestock to your established herd can be risky. You should always quarantine new purchases or risk the consequences. Heading the warning I purchased three calves from auction where on occasion unscrupulous sellers dump distressed & diseased animals. In my case two calves were healthy and were infected with BRD from the third purchased that day. After ~$400 in Vet. bills, 2 weeks of barn duty, another $200 in medicine and feed, we finally had to put the calf down; fortunately the other two survived and thrived. That could have been much more costly had I not kept them out of nose-range of my main herd. We’ve also learned the obvious: not having money is an obstacle to anything you want to accomplish. Starting out a ranch/farm requires a fairly large cash flow and if you’re trying to balancing a new home, a construction loan, learning/buying new equipment, keeping cattle healthy & fed, and trying to keep peace with your spouse………. Well, that is a balancing act. Managing money while making steady and constant improvements is a hard balancing act. Not everything can be done in a single year, two years, or even ten and that’s why spending time learning what’s needed and prioritizing these things is important. Most of my life has been spent in cities much larger than Knoxville which is mainly because of my personal work experience. That being so, what I find interesting and something I wish I could share with people living in those large cities is the vastly different style of living, pace of life (at times), and the rewards of seeing the fruit of your own labor (literally and figuratively). Living this life dispels the myth that farmers/ranchers are stupid; far from it. I’ve met a large number of undergraduate and graduate level people running very sophisticated operations. Not people who need to brag but people who have every right to. These are farmers/ranchers that not only make something from nothing, but make it in excess. No matter what your size and experience, remember, without us the world would go hungry. I’ve lived in four states and Tennessee is the only one I’ve lived in that puts an incredible amount of energy and resources into making cattle education available and getting the word out to residents that it’s available. Available doesn’t mean they spoon feed you, but it’s there, it’s inexpensive/free, and it’s very informative for your business growth. Take advantage of the available education while it’s available to you and start by speaking to your local Ag agent. Get plugged into one or two different classes or cattle activities as you have the time, in fact, make the time. 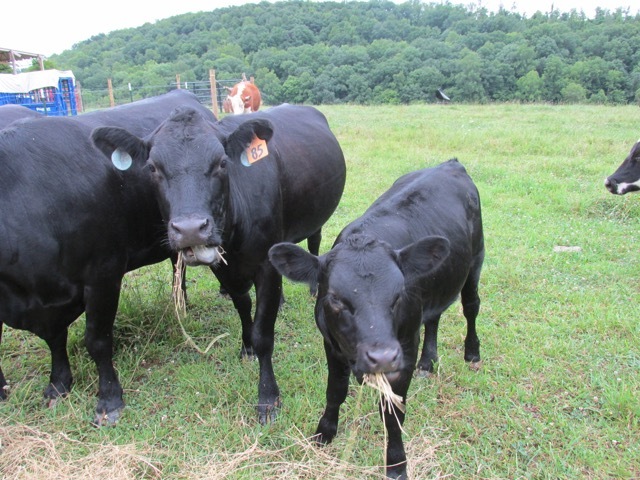 Even though you may be small, enroll in the Master Beef program, Advanced Master Beef, BQA certification, and/or join the Tennessee cattleman’s association for even more information on statewide events. Your education will expose you to new ideas but it’s your responsibility to figure out how these might benefit your particular operation. Your land, Your way. In addition to education, be a good steward of the land & water. What money you put into the soil and biodiversity comes back out of it in the form of good cattle performance and in lower feed costs to you. Lower expenses equate to having more money to place back into your operation and will keep you growing strong. What’s the key to balancing work on the farm and work in town? Balancing two full times jobs can be tough, but it is seasonal. To help keep a balance we keep a running list of projects we need and would like to accomplish. At times the list will get pretty long but everything is on the list including inside-the-home projects & maintenance that needs to get done. Sometimes we prioritize but often money (or lack thereof) will prioritize things for us which is why the list has a lot of no-money items on it. As long as something on the list is being worked on every day then sooner or later the list will get done. For us the improvements inside the home tend to be put off until the winter months when everything goes dormant but the cattle. In mid to late spring we are at our busiest part of the year as managing pastures and fruit trees has swung into overdrive. I’m sure many feel the same as we do when I say that sometimes it seems that every unwanted weed and woody plant seed from 200 miles has land around the property. I’m also fortunate that I’ve been allowed to shift my work schedule to start a few hours earlier in the day which means that I can be home a few hours earlier unless business demands otherwise. I can take advantage of more daylight hours but there are weeks were this pace will wear you down. As the grass matures and as all of the work we’ve done in the spring has taken hold, the cattle are on their own without hay or feed for the next few months and we can once again enjoy a bit slower pace of work during the heat of summer. There aren’t too many problems but I’ve been called a few times from work needing to run home and wrangle a cow or two who’ve made it through a broken fence line. That’s when training cattle to follow the white bucket all winter long had paid off. Slice beef to 1/8 – 1/4 in thick, 1-in wide, 3-6 in long. Marinade 1 – 2 lbs. of a lean meat in 1:1 Teriyaki and Soy sauce (1 cup combined mixture) + 2 tablespoons of black-bean/garlic sauce (Asian food section of your store) for 2-4 hrs. Weave the meat strips onto bamboo skewers leaving about 3-4 inches for a handle. Fire up the grill, lay them (handles outside the grill) on the gill, flipping them often to prevent burning. We’ve seen incredible beef prices and decreased feed costs this last year or so due to multiple factors colliding several years ago. It also appears that cattlemen across the country are once again building up their herds which may eventually lead to future pressure to lower prices if conditions remain calm and favorable to our market. With the outstanding profits we are making I feel it’s important for everyone to remember to pay down their debt and look wisely at investing profits into making our operations even leaner and more cost effective than it was in previous years. Building hay barns or overhangs to keep hay in the dry to reduce mold & decrease losses, maintaining a 2-year supply of hay in the event of severe drought so that we don’t lose all that we’ve worked hard to achieve, purchase better feeding systems to reduce hay waste, and even additional fencing to better our grazing rotation are the key items that Shale Creek Ranch is making plans to accomplishing this calendar year. 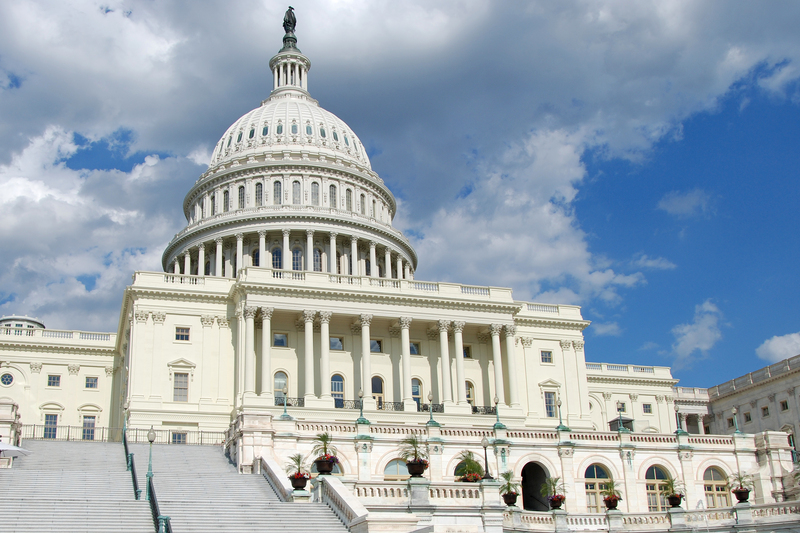 The National Cattlemen’s Beef Association and the Public Lands Council’s government affairs office in Washington, D.C., is accepting applications for the fall 2015 public policy internship. The deadline to submit an application is April 15, 2015. More information found here. NCBA and PLC are affiliate organizations working on behalf of cattle producers and ranching families across the country. NCBA is producer directed and consumer focused, which creates a unique opportunity to unify policy and marketing efforts for the beef industry. Similarly, PLC works to maintain a stable business environment in which livestock producers that hold federal lands grazing permits can continue to conserve the resources and ranching heritage of the West. Together, NCBA and PLC represent the cattle and sheep industries and producers who operate on both public and private lands. The full-time internship will begin Sept. 15, 2015 and end Dec. 18, 2015. To apply, interested college juniors, seniors or graduate students should submit the application, college transcripts, two letters of recommendation and a resume to internships@beef.org. More information about the NCBA public policy internship is available on BeefUSA.org. Applications are being accepted through June 19 for the 2015 Tennessee Beef Ambassador contest. The longstanding ambassador program identifies and trains young people to be spokespersons for the beef industry. The state competition is July 8, during the Tennessee Beef Expo at Middle Tennessee State University. The competition will test participants’ skills in advocating for beef and correcting misconceptions they hear from the media or consumers. The contest has two divisions: junior (ages 13-16) and senior (ages 17-20). Tennessee’s senior winner will travel to Denver, Colorado, Sept. 25-26, to compete for one of five national ambassador positions. This team serves for one year and attends consumer promotions and other events around the country to help educate consumers about beef nutrition, safety and the environmental practices farmers use to maintain healthy, productive land. National ambassadors also complete weekly pro-beef social media activities, such as blogging, posting to Twitter and Facebook. The top three Tennessee state finishers in each division will receive cash awards, while the state senior winner will also receive $750 for travel expenses to the national competition. The state competition will be sponsored by the Tennessee Beef Industry Council and Tennessee Cattlemen’s Association. For more information and entry materials, contact Janna Sullivan, Tennessee Beef Industry Council, (615) 896-5811 or jsullivan@beefup.org or Lauren Neale, Tennessee Cattlemen’s Association, (615) 896-2333 or lauren@tncattle.org . Contest materials can also be found at www.tncattle.org and in the Tennessee Cattle Business magazine. New program focuses on preparing and engaging the next generation of cattle producers. Today’s cattle business is one driven by information, technology and market-savvy producers. In order to meet the needs of a growing population hungry for quality beef, the next generation of cattlemen will require an eye for quality and passion for continuous improvement. To meet that goal, the American Angus Association® recently launched a new program called Future Angus Stockmen — an effort to impact young cattle producers through learning and networking opportunities, while also building a bond with the Angus breed and its member-driven organization. Future Angus Stockmen is aimed toward college-age or recent graduates who want to raise high quality Angus-based commercial cattle. The program will offer educational opportunities that teach participants how to thrive in the cattle industry, social networking to connect them with fellow producers, and leadership development to instill an entrepreneurial spirit and drive to improve their businesses. Enrollment forms are now available online, and can be completed at any time. There are two options when enrolling in the Future Angus Stockmen program. Participants can choose to enroll 15 or 30 head, and receive substantial cost savings for valuable programs, such as GeneMax Focus™ DNA tests, AngusSource or AngusSource Genetic, and MaternalPlus® or Beef Record Service enrollment. Thanks to generous funds provided by Allflex and Destron Fearing, young people who enroll in the program will also have the chance to apply for scholarships if they are or will be enrolled in a two- or four-year college while majoring in agriculture. Scholarship winners will be announced at the 2015 National Angus Convention & Trade Show, Nov. 3-5, in Overland Park, Kan.
Upcoming plans include an application-based gathering of young cattle producers hosted in the summer of 2016 at the American Angus Association headquarters in Saint Joseph, Mo. The event will be a culmination of learning and leadership experiences to solidify their agriculture commitment. For more information, please visit the commercial programs page on the Association’s website or contact Kurtz at 816-383-5100. ANGUS MEANS BUSINESS. The American Angus Association is the nation’s Thlargest beef breed organization, serving nearly 25,000 members across the United States, Canada and several other countries. It’s home to an extensive breed registry that grows by nearly 300,000 animals each year. The Association also provides programs and services to farmers, ranchers and others who rely on Angus to produce quality genetics for the beef industry and quality beef for consumers. 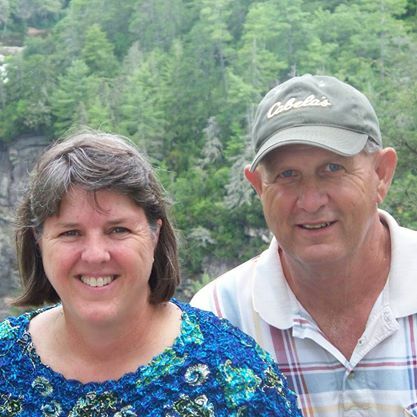 My wife Dawn’s grandfather had cattle in Sevierville, TN all of his life. 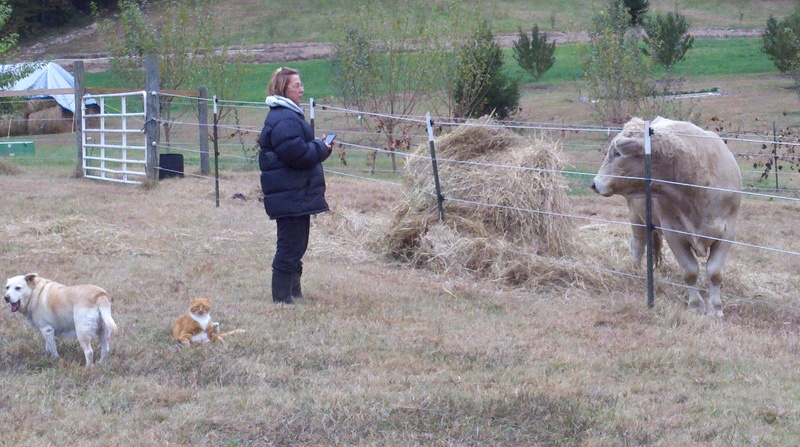 My wife tells stories about the time she spent with her grandfather and grandmother on the farm. Special memories and occasionally around the dinner table with her parents you will hear the remember when stories always farm related. As a family we have just been at it for the past 4 years. It’s been a steep learning curve. I retired from the military after 20 years and deployments to Bosnia, Kosovo and Iraq. 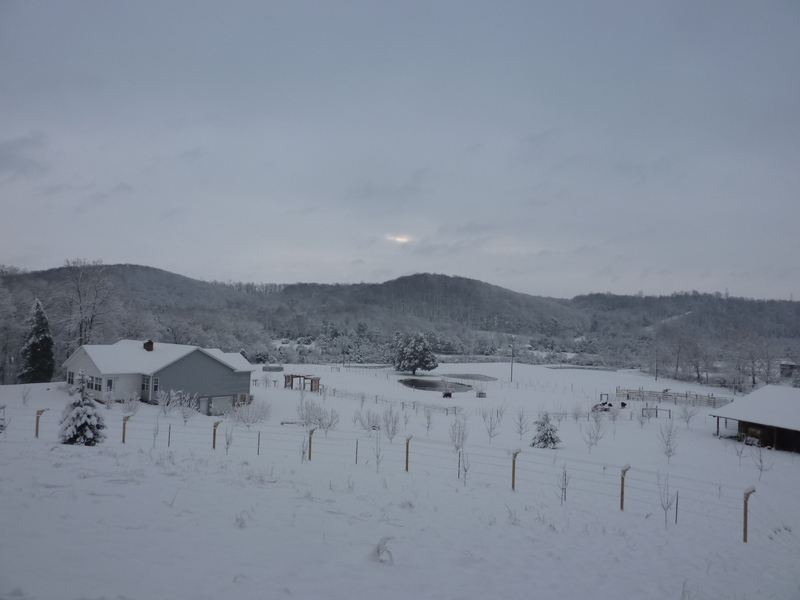 The first year here was spent fencing and building a corral, as well as applying lime and fertilizing the fields. By spring, we had picked up 4 bred Angus heifers and a black baldy calf. Later that year, we got 2 Hereford heifers. There were a lot of trials that first year, our breed heifers turned out not to be, and one that had aborted its fetus. 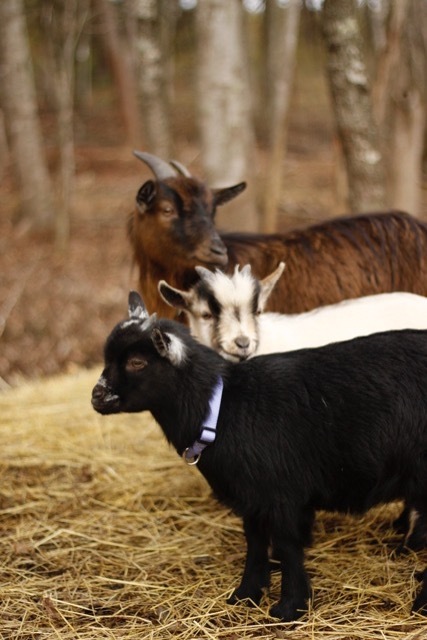 With the help of the UT Extension agents, Master Beef Producer classes, goat programs with the NRCS and Dr. Beason, we have used artificial insemination to improve our small herd. We also fenced out the creek to help the environment and installed a frost free water tank which helps us out considerably. Along with the cows, we have had goats, pigs, chickens dogs and cats. We have scaled back this year. and are down to a small cow calf operation and our small layer flock. What was your favorite part about growing up on the farm? 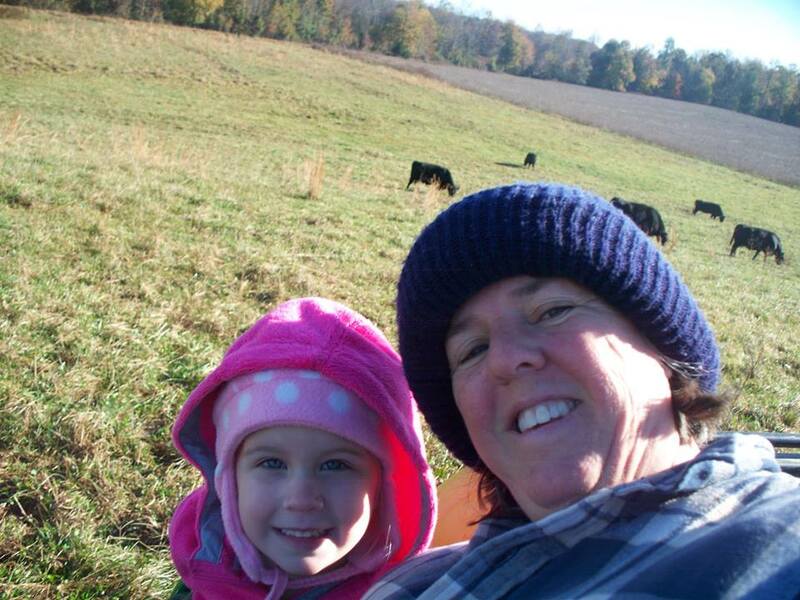 When I was young, I spent time at my cousin’s farm in Indiana and since then, I have always wanted to live on a farm. Having little experience with large animals required us to build handling facilities. Also, we learned to give vaccines and even pulling a breach calf this winter. Hard work is good for the soul. There is a lot of satisfaction in interacting with livestock, as well as pride in being a good steward of the land and animals. After 20 years of military service and 10 years of government contract work, I can sit down to dinner every night with meat and vegetables that we’ve raised with our own hard work. To sit on the porch and watch the cows in the evening is a very good feeling. My experience is limited, but I’d say this: Don’t get discouraged. There are going to be difficulties like sick and injured animals along the way. Read as much as you can about animal health and livestock and learn as much as possible. Rib eye on the grill is great! Our second calf born this past fall was to our black baldy. She had it while we were out that day. We were so excited that she had her calf with no issues. Then 2 days later, I got a call that the calf is down in the ditch with scours. By the time I got home, my 70-year-old mother in-law has got the calf back to its mom and into the shade. She was covered with manure. We tubed the calf with electrolytes which was something I had never done before. The vet came and prescribed medication. It was a scary but gratifying situation to be able to save the calf’s life. Also, we have 7 grandchildren and it is always fun to watch them with the animals. They get so excited. The baby animals are a big hit with kids. Teaching them to not be afraid of the animals and how to handle them is always fun. One of our little granddaughters was afraid of the chickens at first, but after a while of being with them and being able to pet them, she loved it. We hand raised the chickens. Our chickens will let you pick them up carry them around. All the kids love the goats. I am not sure what is the cutest: the baby goat or the smile they put on a grandchild’s face as they play together. It is also a lot of fun to watch the kids when we bring the baby goats in the house. Yes, that is not a typo we have had the baby goats in the house. Governor Bill Haslam has proclaimed March 18 as Agriculture Day in Tennessee. This day coincides with National Agriculture Day to celebrate the abundance provided by the farms and producers of America. Agriculture contributes to almost everything we eat, use and wear every day. The purpose of Agriculture Day is to unite Tennesseans and to appreciate the role the industry plays in our lives. The celebration will continue March 24 with Ag Day on the Hill when the General Assembly will experience much of what Tennessee agriculture has to offer. The event gets underway at Legislative Plaza in Nashville at 8 a.m. with live animals and displays from all sectors of Tennessee agriculture. House and Senate members will compete at 9 a.m. in a corn shelling contest. Festivities also include a silent auction to benefit Second Harvest Food Bank and a sweet potato bagging project for the Society of St. Andrew. Hunter Farms has been at the same location for 3 generations. It started as a dairy farm and switched to beef cattle in the early 1990’s. I grew up on a commercial cow calf farm in Kentucky and both my husband and I have been involved with raising cattle our whole lives. Today we raise mostly purebred Angus. We also have some commercial cows that we use a Hereford bull on and sell calves through the Upper Cumberland Beef Alliance, which is part of the Tennessee Livestock Producers. 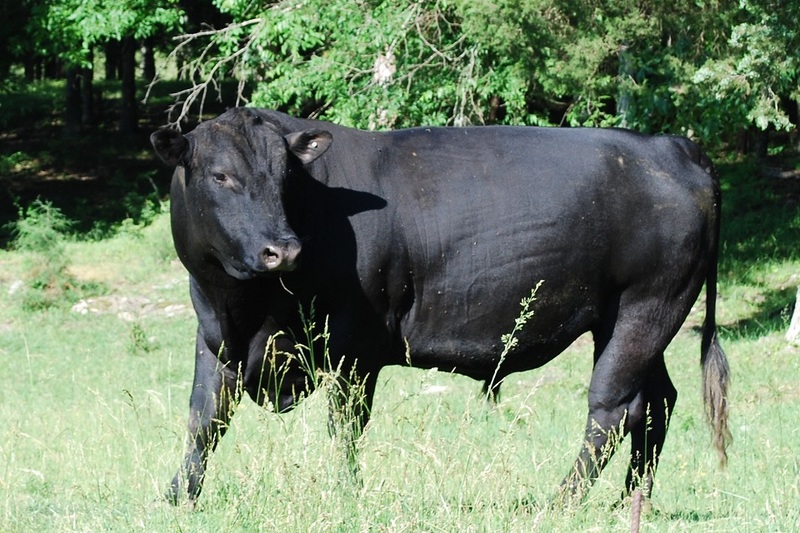 We have purchased cattle from other purebred producers and even flushed two of our cows to improve our genetics, and also use artificial insemination to bring in new bloodlines. David spends a great deal of time comparing bulls to try and find the perfect match for our cows. Since we raise replacement heifers, he focuses on bulls with good maternal traits, but we also want cattle that will grow well. My favorite part about growing up on a farm was getting to work alongside my dad. Being outside and working with livestock were just added benefits. David worked with his father in the dairy, and learned the value of hard work at an early age. 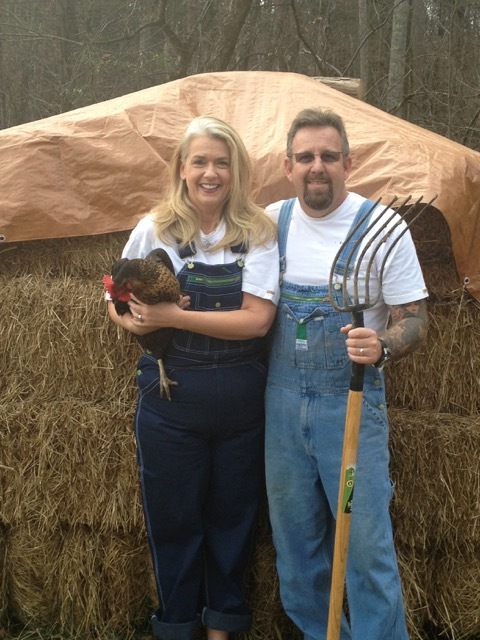 We both learned the value of hard work and how to appreciate what we have from growing up on a farm. The weather is a big one that we have no control over. A drought year that lead to poor pastures and lack of hay is one trial. Another is volatile cattle markets. We are fortunate right now to be selling some of the highest cattle we’ve ever sold. But any producer will tell you that prices can drop at any time. A third trial is dealing with animal activist groups. Most of these groups try to portray farmers in a negative manner, and if the public took the opportunity to ask a local farmer, they would see that farmers are hardworking caretakers of the land and their animals. Farming is a job that can be 24/7. 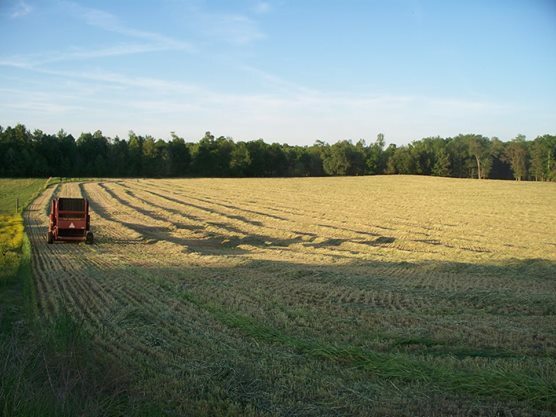 During harvest time extra hours are spent in the field – whether with row crops or hay. Calving season can be round the clock as well, making sure the new heifers are checked on regularly and that they have help they need if necessary. Farming is not just a job, it’s a way of life. It’s what we do each day, and we do it because we love it! 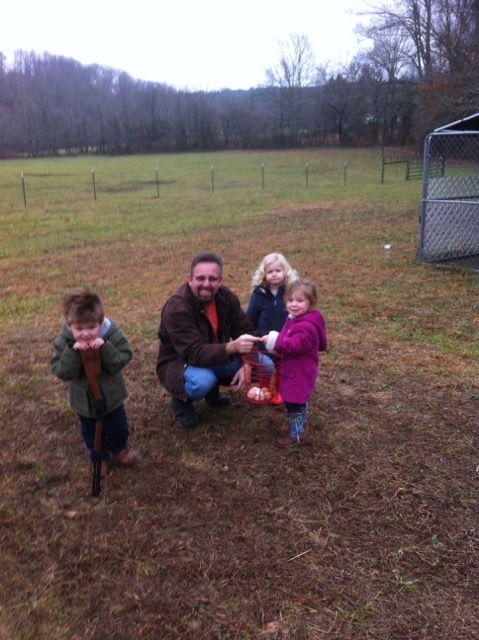 Watching the grandkids help out on the farm is one of the most gratifying things in my life. Being able to work alongside my husband in our cattle operation is another. I do work off the farm, but love being able to help out any time that I can. David has said quite often that what he does is not a job – it’s what he loves! 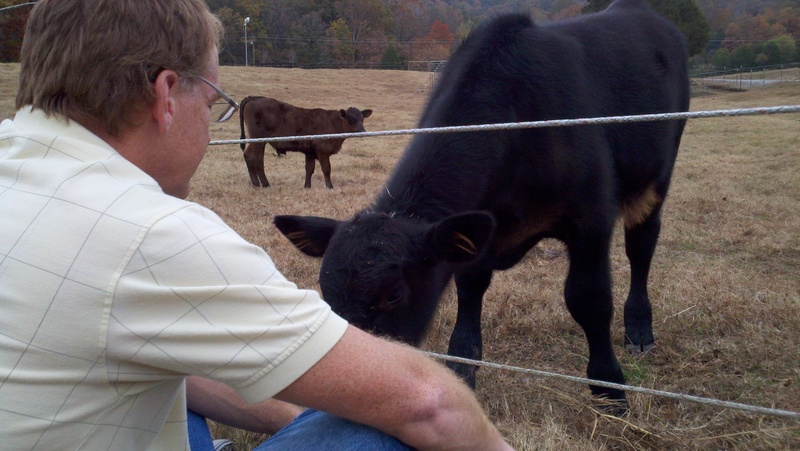 Do you have any advice for young Tennessee cattle producer about the business? Get involved with groups like the Tennessee Cattlemen’s Association both in your county and at the state and national levels. They have many educational meetings where you can learn about new and innovative practices that you can use on your own farm. Know that there will be times when the market is good, and be ready if it drops. And always remember, you have the best job around! You’re never going to work if you love what you do! I think steak is my favorite, but I really like beef in general. I do appreciate what the Beef Industry Council does in using creating new beef dishes from less desired cuts, through research and development. The Flat Iron steak is a good example of this, and with a portabella mushroom and cheese on top it is awesome! Even as a kid, I always felt that farming was what I wanted to do when I grew up. I am just thankful that I found a wonderful husband that I am able to share my passion with. Taking care of the land and our animals – it’s not just a job, it’s what we love to do. The University of Tennessee Institute of Agriculture will auction performance-tested bulls at the upcoming Junior Bull Test Sale on Thursday, March 12. The sale will take place at noon CDT at the Middle Tennessee AgResearch and Education Center in Spring Hill. While the sale features mostly purebred Angus bulls, some Gelbvieh, Hereford and Simmental bulls will also be sold. All bulls to be auctioned have recently passed the performance test, which measures weight gain, frame score and breeding soundness. The high-gaining bull, an Angus consigned by Bandy Acres Farm in Irvington, Kentucky, put on an average of 6.29 pounds per day, finishing with a yearling weight of 1,423 pounds and a frame score of 5.8. You can preview the bulls in an online video catalog found at the UT Animal Science web page: ag.tennessee.edu/AnimalScience. Click on the link under “Hot Topics.” Print catalogs are also available online, or you can pick one up at your local county Extension office. Additionally, catalogs will be provided at the sale. The Junior Bull Test is a public auction. In addition to the live auction site at the Middle Tennessee AgResearch Center, two tele-video sites will be provided at the Clyde Austin 4-H Center in Greeneville and the Knoxville Livestock Center. For questions, contact David Kirkpatrick at 865-974-7294, or call the Middle Tennessee AgResearch Center at 931-486-2129. The center is located on Highway 31 between Spring Hill and Columbia, Tenn. 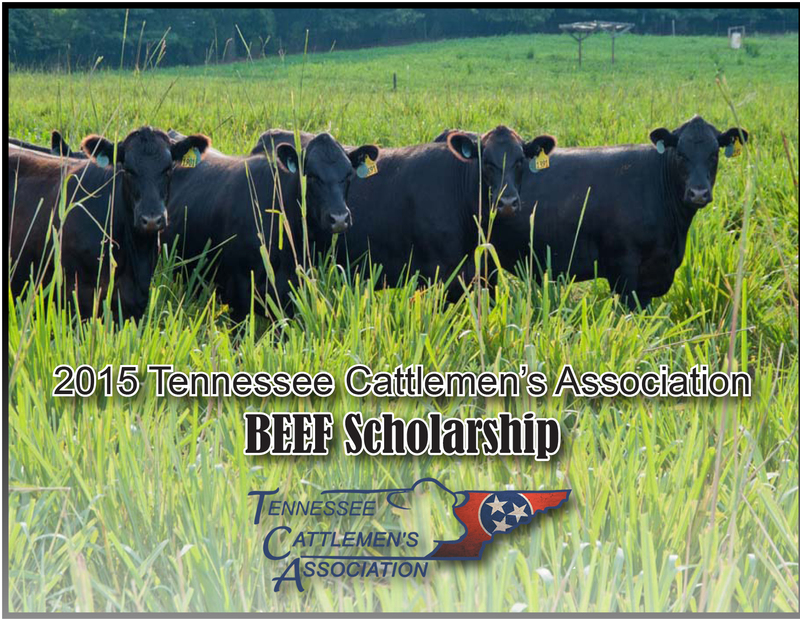 The Tennessee Cattlemen’s Association has opened the application process for its Beef Scholarship. Two scholarships of $500 a piece will be awarded to outstanding students who are pursuing careers in the beef industry. The purpose of this program is to identify and encourage talented and thoughtful students who will emerge as industry leaders. Applicants must be a graduating high school senior or full-time undergraduate student enrolled at a two or four-year institution in Tennessee for the 2015-2016 school year. There are several application requirements. Please read them carefully. The application form can be downloaded here. All materials MUST BE submitted by May 1, 2015. Please contact the TCA with questions: (615) 896-2333. 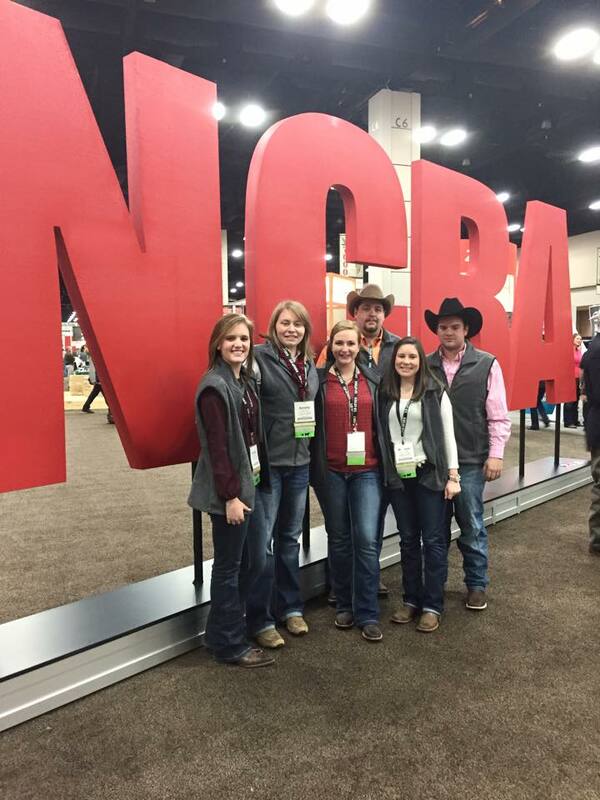 Six members of the UT Block and Bridle club traveled to San Antonio for the annual National Cattlemen’s Beef Association Convention. 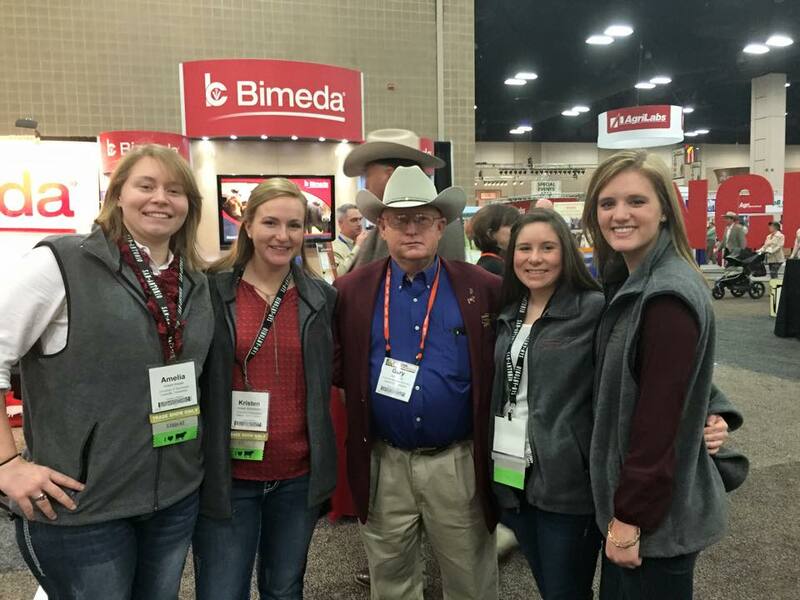 The Tennessee Cattlemen’s Association and UT Animal Science Department sponsored these members to attend the trade show and meetings while at Convention. The students are all active members of the club and industry enthusiasts. The students were able to network and meet with industry leaders during their time in San Antonio. One student even had the chance to inquire about an internship with the Noble Foundation. Students were prepared to hand out resumes and talk to future employers about internships and jobs. The importance of strengthening relationships with industry professionals is key for students pursuing degrees in agriculture fields. The challenge of this generation is to feed the growing population of an estimated 9 Billion by 2050. The Tennessee Cattlemen are aware of this statistic and understand the importance of continuing to educate young people for the industries future. Teaching students to tell their own story of agriculture was a common theme throughout the convention. They were encouraged to use social media and technology as their platform. Many companies offered prizes for posting to their Facebook or tweeting about their company. These members all come from different backgrounds and majors. This opportunity opened doors for these students to experience the beef industry not only in Tennessee but also all over the country. There were many demonstrations on cattle handling that applied to many different areas of livestock production and BQA requirements. Understanding how to lower stress on cattle when loading trailers or working with them was a key topic of the demonstrations. Learning how cattlemen work their livestock in South Texas was a highlight for one student. The Tennessee Cattlemen are preparing the future generation of industry leaders to continue the outstanding legacy of agriculture in Tennessee. The students are thankful for this opportunity to expand their knowledge and grow as industry leaders in the footsteps of great beef producers.